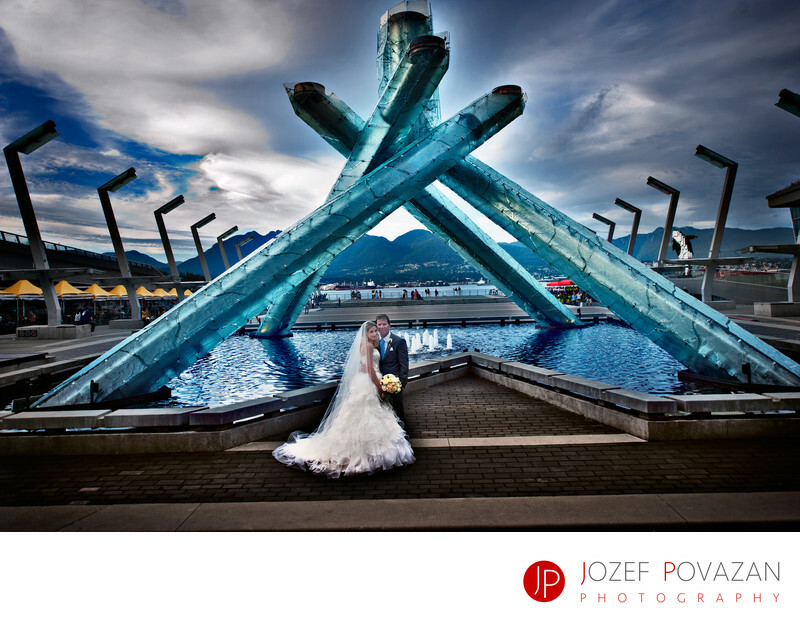 Best Vancouver wedding photographer Jozef Povazan Photography studio. Jozef became one of the family early on during the wedding planning. Nicci and Joe, living in Australia, searched the internet and through emails could feel his enthusiasm and professionalism towards photography and his involvement within the wedding event. As Mother of the Groom,living in Vancouver, I spoke with Jozef and felt confident even before meeting him that his knowledge and commitment were so sincere. Our wishes were to have a photographer who knew the traditions of the synagogue, would be able to take those close up photos without being intrusive (a big request) and of course have artistic natural abilities to capture the emotions and beauty of their wedding. Jozef and his assistant were so joyful and capable throughout the day that everyone enjoyed their company and never felt imposed upon. Now the only problem is trying to choose from hundreds of magnificent, unique, heartfelt photos for our albums. Thank you Jozef for your kindness towards all involved and for archiving those wonderful memories, of Nicole and Joseph Noble's wedding.